In yet another successful winter for Rockland High School athletics, the boys’ basketball team has had an incredible season to this point. Sitting at a 14-2 record, the Dogs have been able to accomplish two of their main goals, to qualify for the MIAA State Tournament, and to win the South Shore League championship. After an impressive team win over Randolph on January 19, the Dogs were able to clinch an appearance in the tournament for the forty-seventh time in fifty years. 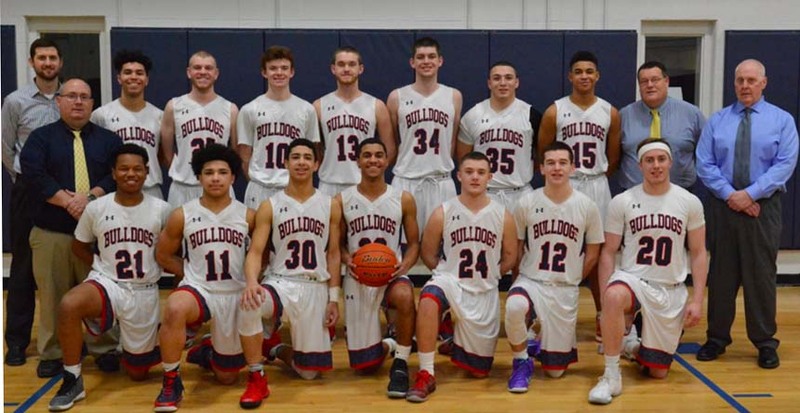 On February 2, against league opponent Middleboro High School, the Dogs secured their seat atop the South Shore League for the third year in a row with a relatively easy win. On Friday night the Dogs got a one point win at Norwell, 53-52, completing an undefeated league record. After claiming their throne as kings in the South Shore, the Dogs were able to check another season goal and accomplishment off the list. The key to success has been a balanced attack from players up and down the Dogs’ roster this season. Leading the pack is senior captain Zach Sharland as he is averaging 22 points per game. Sharland has maintained an important role for the Dogs with numerous high scoring games including a season high 36 points against Cohasset. Although Sharland continues to dominate offensively he still has two objectives he’s aiming for. “I want to accomplish a lot this season including making a big run in the tournament by putting ourselves in the best position to win the state [championship].” He also has his sights set on a possible player of the year nomination. 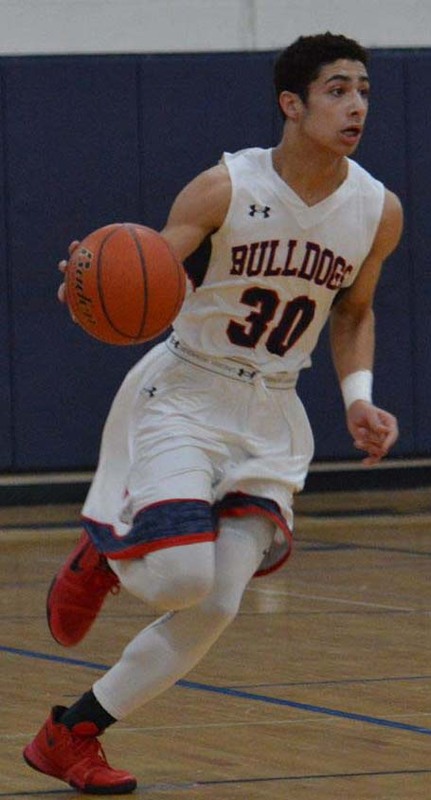 Other contributors for the Dogs are senior captain, and starting center Aiden Glennon, averaging 14 points per game and 8 rebounds per game, and offensive spark Jude Bain off the bench. Production has also come from seniors, Anthony Vasquez, Sam Gray, and captain Jon Baar. With two goals secured the Dogs aren’t satisfied yet. Captain Aiden Glennon knows there is much more for this team to accomplish. The unsung hero for the team this season is senior and starting guard, Anthony Vasquez. Vasquez has produced on the court and has provided for his team in any way needed. Head Coach Fred Damon praised Vasquez, naming him the unsung hero with no hesitation. The Dogs consist of nine seniors who are looking to make memories for the rest of the season. With a team of veterans the Dogs are primed to end their season on a high note.